Discussion in 'Windows Games' started by TheCornor, Apr 14, 2019 at 4:26 AM. 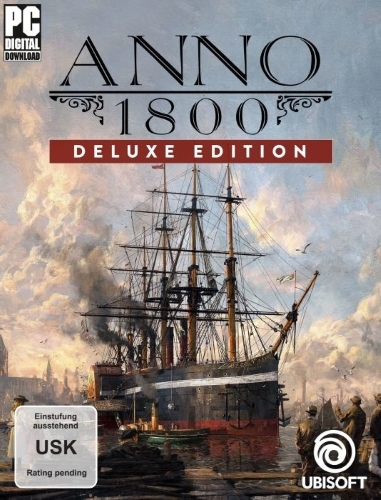 Anno 1800 will transfer players to the XIX century, in the world of intricate political intrigues and rapidly developing technologies. We will have to make every effort to hone management skills and cope with the main task - to build your own empire, whose influence will extend from the foggy cities of Europe to the jungles of South America. In the updated gameplay organically woven all the favorite features. 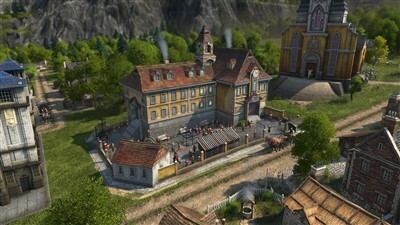 Anno 1800 opens a new stage in the development of the series. Players will be able to influence the course of history in one of the fateful periods. The game will take you to the XIX century, when industrialization was in full swing, the greatest discoveries were made and diplomacy was actively developed. The epoch of technological progress, intrigue and fragile alliances will provide an excellent background for the classic gameplay of the series. 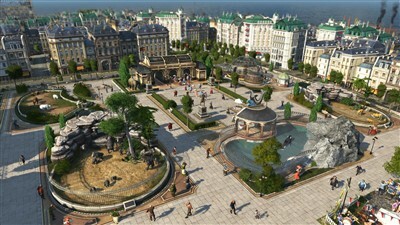 Anno 1800 will provide many opportunities to show management skills. Players will have to build huge cities, solve non-trivial logistic tasks, colonize a new exotic continent, send expeditions to different parts of the world and try to outperform rivals in the sphere of diplomacy, trade or military affairs. 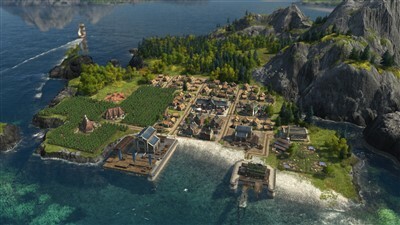 Anno 1800 combines features that are particularly loved by players for the 20 years of the series. A detailed urban planning simulator includes a story campaign, a sandbox mode in which many settings are available, and a classic network game. With the release of the new part of the series will return to their favorite functions, such as individually selected opponents under AI control, the ability to transport goods, maps generated randomly, multi-session games, special items and much more. For the most accurate reconstruction of the historical period in Anno 1800 will be a lot of new features. For example, the ability to send teams of specialists to expeditions around the world for the sake of wealth and fame. A function of "Labor" will make factory management as convenient and realistic. Also, players will be able to master the territory of South America with deposits of black gold, which will become an indispensable resource in the age of industrialization. In order for the cities under your control to grow and flourish, it is important to be able to adjust the strategy according to changing conditions. Provide residents with everything you need by adjusting the work of numerous production chains, interact with other rulers under the control of AI, and multiply your condition by creating a developed network of trade routes. Extend your Anno 1800 experience with the Deluxe Edition, which includes the game and the Deluxe suite. First DLC with exclusive badges for your company. 1. Copy the contents of the release to any place on your hard disk. Attention! Before installing the Uplay client, the game should already be registered on the account, and the Uplay client itself must be closed!